At International Bath & Tile, style is everything. We have a simple philosophy: Everyone we work with deserves the absolute best in style, service, price and execution. With the holidays right around the corner, nothing could be more true about gift giving. We know our clients feel the same way. That is why we have put together a list of wonderful vendor partners that will inspire you to give nothing but the very best. Your gift giving guide for the unique and discerning to the practical yet original. Our friends at Nameek’s are thinking luxurious, contemporary bathrooms and all the accessories that make them so. With the cooler days coming wouldn’t it be perfect to have a towel warmer? Not just functional but a true piece of art. Take this Scirocco’s Snake hydronic towel warmer. 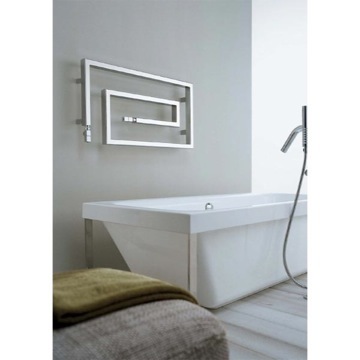 It’s a towel warmer that will fit beautifully in your contemporary style master bathroom. 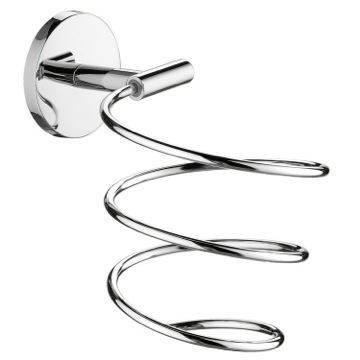 Crafted in Italy by Scirocco, this towel warmer is a unique option for your decorative personal bathroom. Maybe you are not wanting to go “All In” with a gift, maybe something a little more understated but still beautiful. Nameek’s has you covered as well. Take a look at this luxurious wall-mount hair dryer holder. 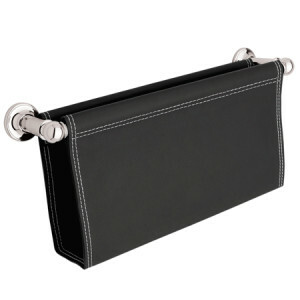 This hair dryer holder from the Gedy Hairdryer Supports collection is a contemporary-style hair dryer holder. Ladies, no longer will you have to worry about leaving your warm hair dryer on the counter. Again, functional but beautiful. And of course it’s imported from Italy. We don’t want to leave the kitchen out in our gift giving review. Who doesn’t love wine. We certainly do and we know it can make the perfect hostess gift. We all bring that fabulous bottle to our holiday hostess. Imagine showing up with this gorgeous Wine Rack too. 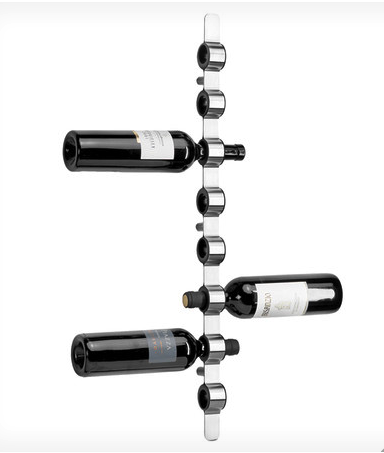 We love the Cioso 8 Bottle Wine Rack by Blomus. It will compliment any contemporary kitchen and will make you the star of the party. And who doesn’t want to be a star? Whether it’s breakfast in bed or serving coffee to guests, this tray will get the job done in pure style. 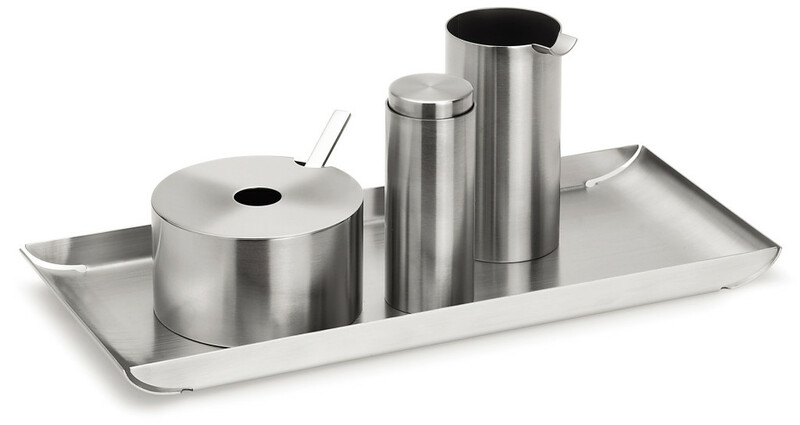 The Trayan serving tray by Blomus might outshine your eggs benedict. It comes in two different sizes to fit every need. Our partners, Ginger are all about bringing luxury into your lifestyle. For that hard to buy man in your life, we suggest this black leather magazine rack. It adds masculinity with clean lines. Wishing you all a wonderful Holiday season – may the joy of the season be abundant and the year ahead full of surprises. Looking forward to seeing you in one of our boutiques showrooms in the not too distant future!